It is important to keep track of the important files and data, moreover it is important to keep it handy without having a second thought of losing it due to some computer crash or device falling or breaking. We have compiled a list of best and free cloud storage service providers. These cloud storage providers give free online storage space from 1 GB to 10 GB; almost all of the listed cloud storage providers have the provision of sharing and collaboration; they have desktop applications as well to sync your computer folders and files quickly. 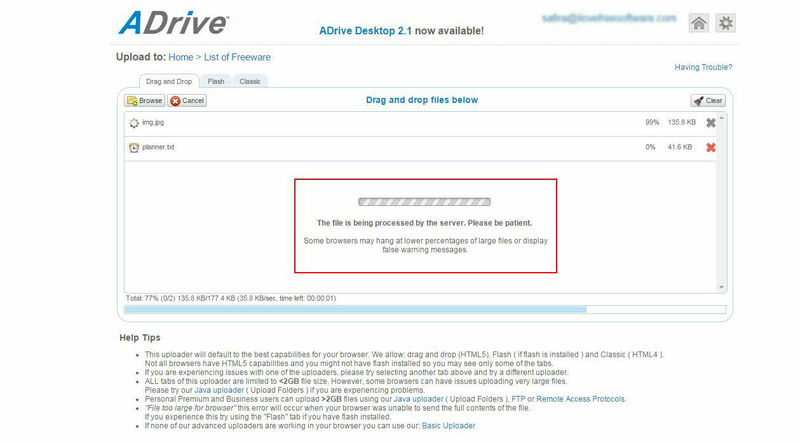 ADrive provides its users storage capacity of 50 GB in the personal basic account type, it can be accessed from web application using the web browser or from Smartphone, and it does not give free users the desktop client access. The free account is ad based which means you will be seeing ads on your account somewhere. It lets you share large files with links to them. 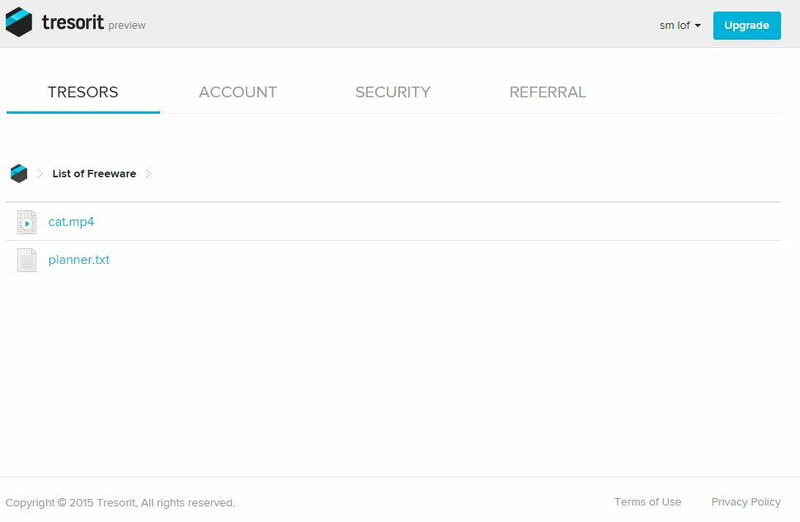 When signing up for ADrive, you will have to choose a free premium account type first, later after signing up you can downgrade it to free basic plan. With ElephantDrive you get 2 GB free storage space to backup your files from your desktop or mobile. The desktop application of ElephantDrive is available to download from the website. The starter plan is enabled with automatic backup of your files from your device. 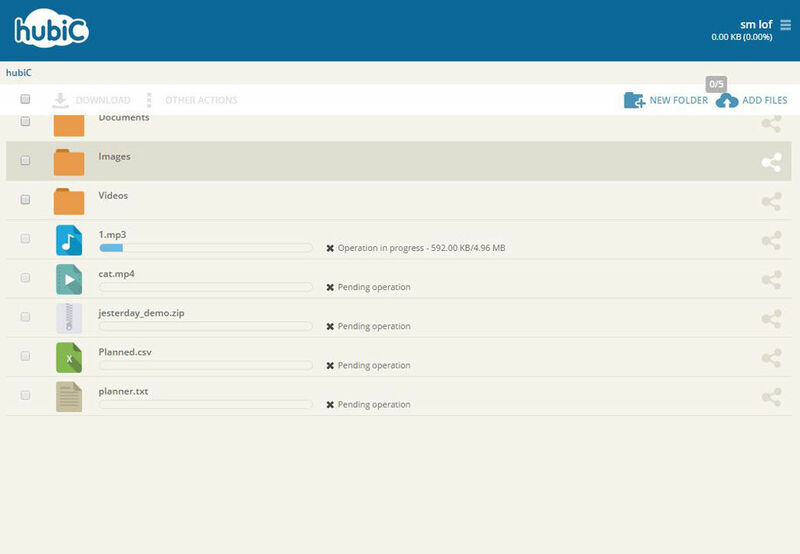 File search and file history are one of the really impressive things about ElephantDrive. 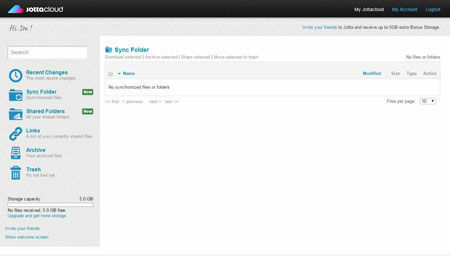 You can share files and folders with people in simple clicks. Storegate is a web, desktop and mobile based application which gives its users the ability to store their files and important data over the cloud seamlessly. 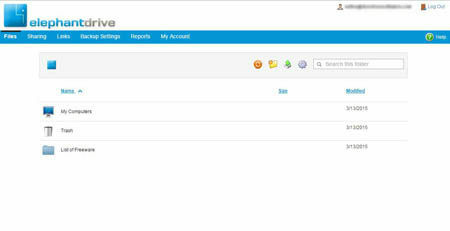 Storegate has a simple user interface in web application, but is impressive in the mobile application. 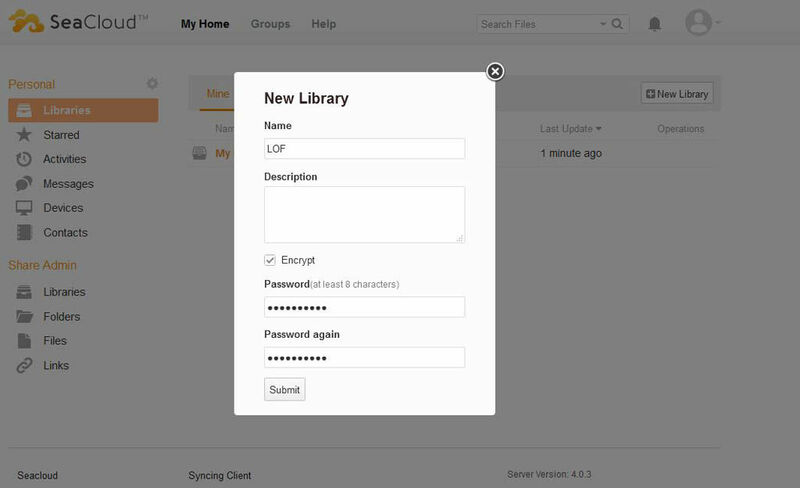 Your files are secure in Storegate with https-encrypted integration. Storegate gives 2 GB of free cloud storage, it automatically takes a backup of your computer making things easier, safe and convenient for you. OpenDrive is another great cloud storage service to store your files as in internet hard disk. The free storage capacity by OpenDrive is 5 GB with the uploading file size being 100 MB. The basic plan allows only one user for 1 GB bandwidth per day. It helps in not only storing your files but it also gives you remote access to them, share them with others and collaborate with them to work together. On the startup page of OpenDrive you get a thank you message and information about how you can earn more space on your cloud storage capacity. By referring to the information, you can earn up to 1 GB free space for your account. FlipDrive is one of the cloud storage services serving users with good backup, sharing and cloud storage. 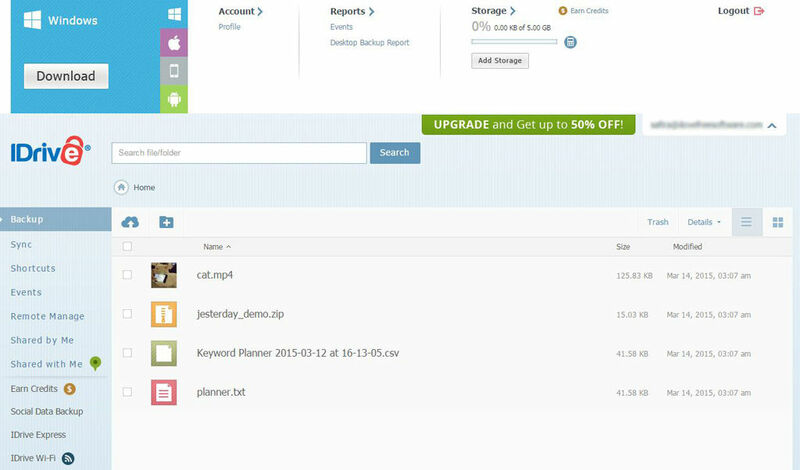 The basic plan of FlipDrive gives users free cloud storage of 5 GB. With FlipDrive you can upload single file size of up to 25 MB. File sharing and folder sharing are restricted to 5 only. Additional apps like photos, contacts, calendar and bookmarks can be accessed in basic plan as well. OwnDrive is another great service provider for cloud storage and cloud backup. It supports multi-platform sync. 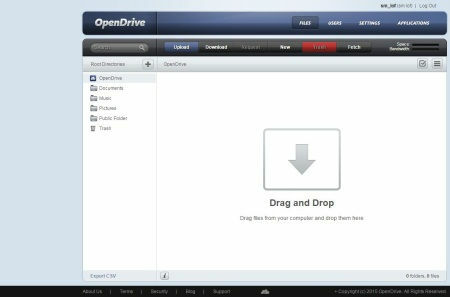 You can upload different types of files to your cloud drive at OwnDrive including documents, music, photos, etc. With OwnDrive you can give access of your folders and files to your team members or friends. The maximum file size for uploading can be of 1 GB. 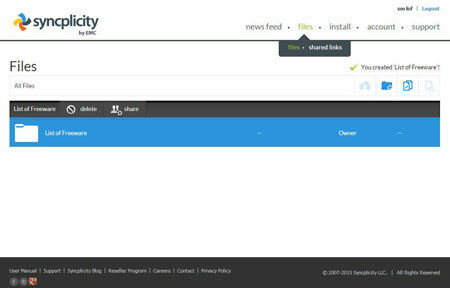 It lets you upload different types of files in just one click. External storage feature of OwnDrive gives you freedom to access your other cloud storage drive's data in your OwnDrive account. Memopal is a free cloud storage provider that gives its users 3 GB free space for storing their files and data safely from getting lost or stolen. It lets you share small and big files and folders with your friends in few clicks. It also works as a photo organizer for all your uploaded photos. Memopal cloud storage syncs all kinds of files from your desktop or device whether it is music file, image, zip file, document or other types. It is available in many languages to make it easier for users from different parts of the world to understand the interface in the native language and do tasks without any problem. 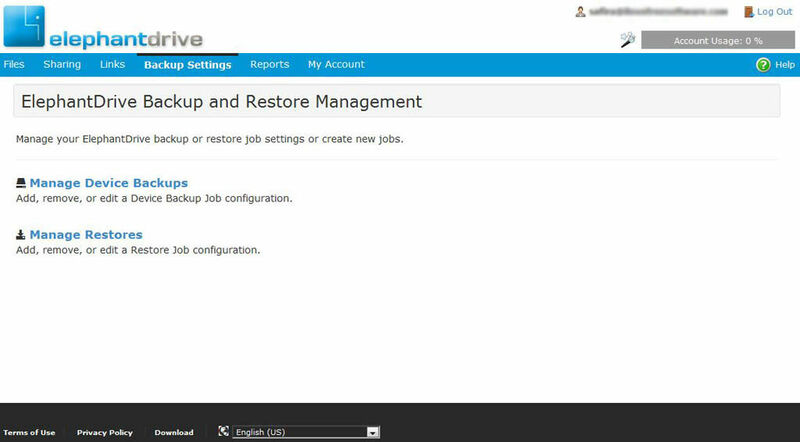 IDrive is a really good online backup and online storage service to handle all your data from your web browser, desktop client or other device's application without thinking about losing it. 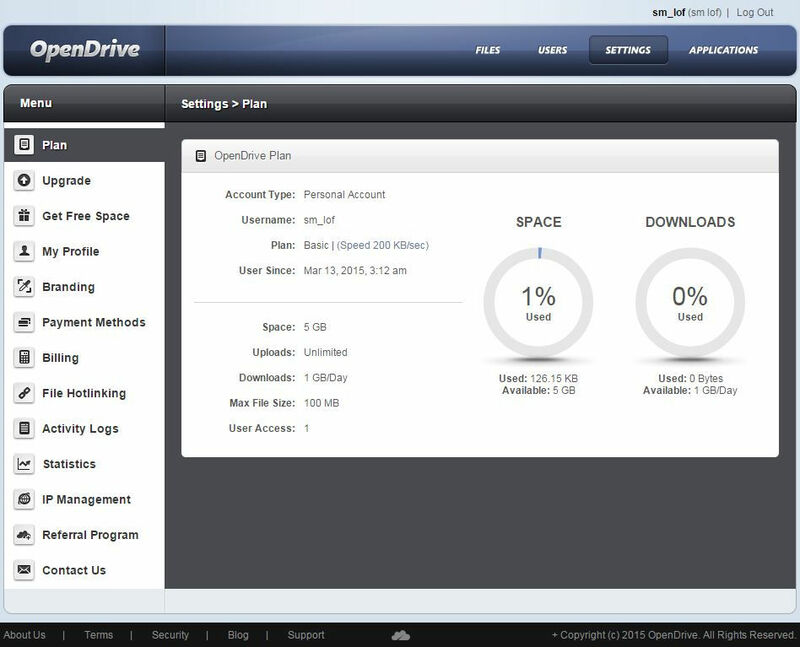 IDrive provides users with 5 GB of free cloud storage space; in addition to this you get extra 5 GB sync space. 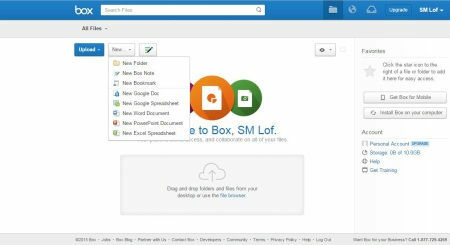 It lets you share your files using Facebook, Twitter or email with just one link. You can password encrypt the files or folders for better security. 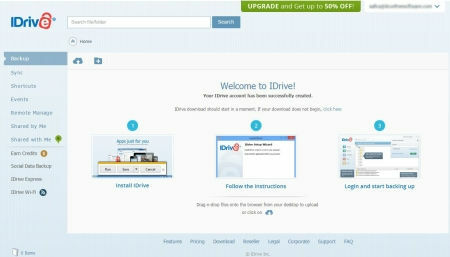 With IDrive you can easily view your files on your browser itself. MediaFire is cloud storage provider that gives free space on signing up of 10 GB. You can upload various file types and store in your cloud drive without thinking about losing any data. MediaFire makes it easier for you to access your files from web, desktop and mobile. 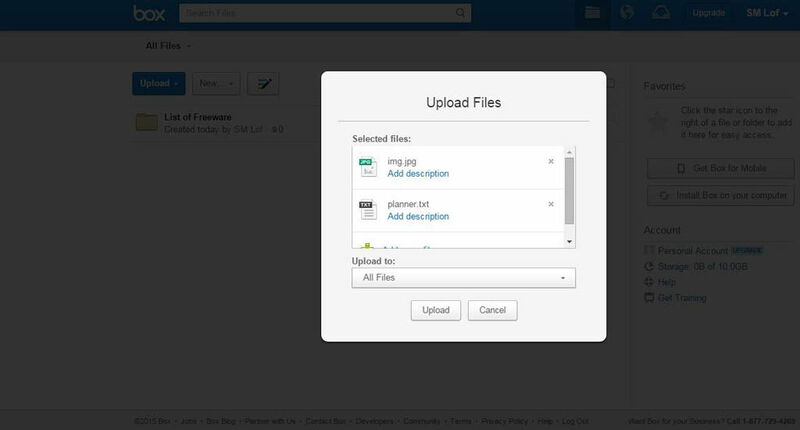 You can upload files from your computer or device or alternatively from the web by giving link of the file. You can upgrade your basic account to avail more cloud space. CloudMe is yet another free and best cloud storage provider that gives free cloud space of 3 GB with maximum file size of up to 150 MB. CloudMe is free for Windows and can also be accessed through other operating systems and platform including Mac, Linux, NAS, Mobile and TV. 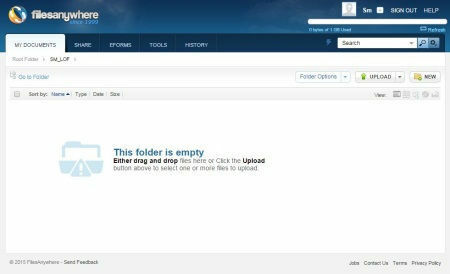 You can share photos, files, videos and other content from your CloudMe drive with your friends or team using WebShare. CloudMe lets you play music from your cloud storage drive on your phone, computer, TV or just anywhere you want to. ASUS WebStorage is an online storage web application that gives its users free cloud drive space of 5 GB. You can earn upto 10 GB of free cloud space by referring it to your friends. It lets you backup only 1 device per account in free version. The upload limit assigned for single file is 500 MB and the daily share download file size is of 500 MB as well. ASUS WebStorage enables users to collaborate and share files and folders with others. The desktop application of ASUS WebStorage is also available for download. Everyone requires a big space to backup their files and keep the files safe and secure; Copy will help you do that. It is a powerful online storage and online backup service. You get free cloud drive space of 15 GB with Copy. It is a multi-platform cloud storage service; you can download desktop application for accessing it on your computer. You can easily create folders and sub folders in Copy. It lets you share your files and folders with others. Younited is a free and best cloud storage service by f-secure. 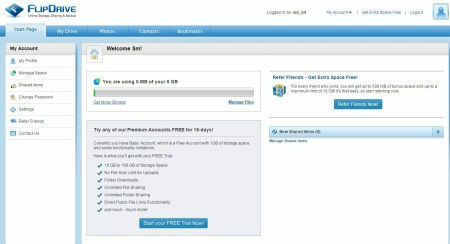 Younited provides free cloud storage of 5 GB to its users. The user-interface of the web version of Younited is impressively well designed; it is organized and works great. You can view your files from your Younited web application without any problem. It generates file previews in its web application. It enables you to send or share big files with people you want to share them, in addition to sharing you can encrypt the shared files or folders for more security. Cubby is a free cloud storage provider that gives users 5 GB space on the cloud drive. This cloud storage can be upgraded by buying Pro or Enterprise versions or alternatively if you do not want to buy online storage space then you can refer Cubby to people and earn up to 25 GB of free cloud space. There are not many features available for free or basic version of Cubby, but still you avail the basic features such as private and public file sharing, unlimited file size uploads, client-size encryptions, and free desktop or mobile applications. Yandex.Disk a free online storage and online backup service has features which makes it stand out of the other cloud storage services. It has free cloud space for storage of 10 GB. It enables you to share the files right from the upload pop window. It generates shortlinks to be shared on Facebook, Twitter, Google Plus, Mail or FriendFeed. To sync photos from your social media profiles such as Facebook, Instagram, Google plus and VK you can login to your profile securely on Yandex.Disk and safely backup the photos over the cloud. There is a desktop application for Yandex.Disk to access your backup files and folders easily. 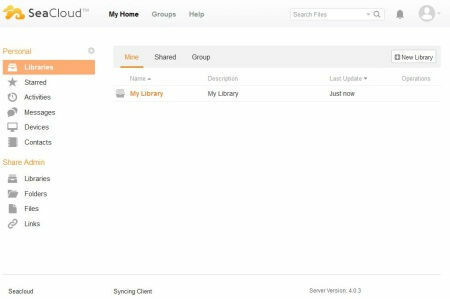 Syncplicity is one of the free cloud storage services that provides 10 GB of free cloud space to store your files over the cloud securely and not being scared of losing them. All your uploaded files are synced to across all the linked devices. There is no limit to the file size and no bandwidth restrictions. You can edit your documents and add annotations to your PDF files using your device. 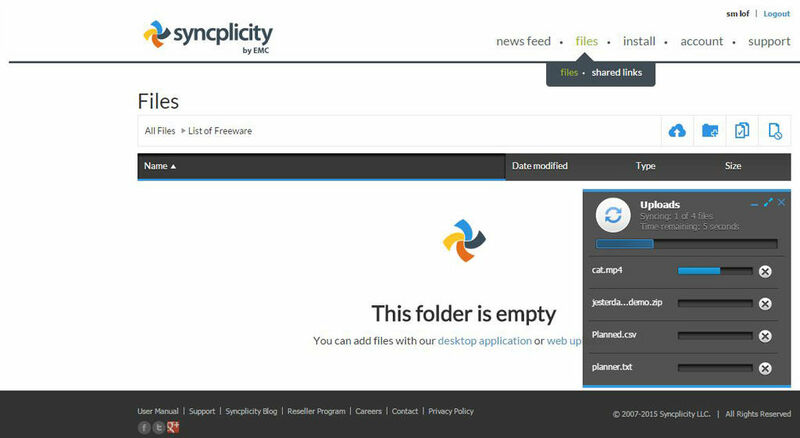 Syncplicity has desktop application available for Windows to sync and access your files and folders directly from your computer. Tresorit is a free online storage service that gives you free cloud space of 3 GB. You will have to download the deskptop application first to enable the web application of it. Tresorit can be accessed on multiple platforms like desktop, web, mobile, etc. You can increase your cloud drive space by completing the checklist given by Tresorit after you login to your account using the desktop application. It does not give password recovery option if you forget your password once, it is recommended to note down the password somewhere safe. You can only upload files to your cloud drive of Tresorit using the desktop application or other devices, web version is only meant to preview the files and access your account. Keep your files organized and safe with MiMedia, an interactive and nice free cloud storage provider. For a startup it gives you cloud storage of 10 GB where you can upload all kinds of files such as photos, music, documents and videos. 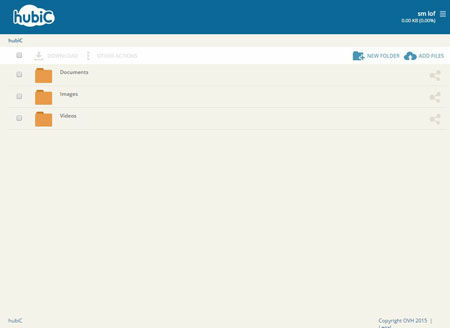 It lets you create drives to upload your content to. You can even create collections to keep different media files together. MiMedia is available as a desktop client, web application and Smartphone app. Bitcasa is a nice cloud storage service enabling users to have 5 GB of free online storage. Upload photos, documents, video or music files, it can store other file types too but it cannot generate preview of those file types unless it supports it for preview. After uploading your files, Bitcasa automatically organizes them into photos, music, videos and documents tab. pCloud is another best and free cloud storage provider giving users a wide range of uploading file types. It stores your files securely and safely on its server, letting things be simple for you and forget about losing important data from your computer or device. pCloud provides you with 10 GB of free online storage space, you can increase it up to 20 GB by inviting your friend to join pCloud. pCloud has desktop application to easily access your files from your computer. OziBox is one big online storage space provider to safely keep all your data and file from your computer or phone. OziBox gives you 100 GB of free cloud storage for all your files, store photos, music, videos, archives, documents and everything else. You can download OziBox desktop software for easy access, upload and download of your files and folders in between devices and web. You can share any file on your OziBox with your friend who already uses OziBox. 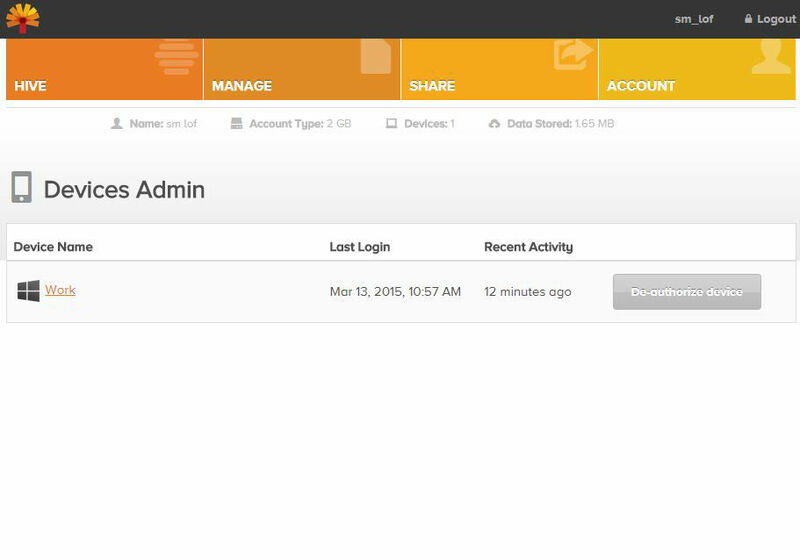 Symform is a web application, desktop application and Smartphone app for free cloud storage to help you save your files and data on the cloud securely. The web application is restricted to only viewing, thus you cannot upload or download any files from it. All the upload and download of files and folders can be done using the desktop application or the Smartphone apps. Symform gives 10 GB of free cloud storage space but this can be increased using the upgrade method or contributing the free space of your device to the community. hubiC gives its basic users to use 25 GB of free online storage space to store their important files and data from their computer. It helps you keep your computers and devices in sync of what you backup over the cloud using hubiC. Backup any kind of file seamlessly with hubiC to remove the tension of losing your data or files from your local drive. hubiC has no boundary set for maximum file size upload; it gives you the liberty to share your files and folders with a share link with your friends, colleagues and family members. 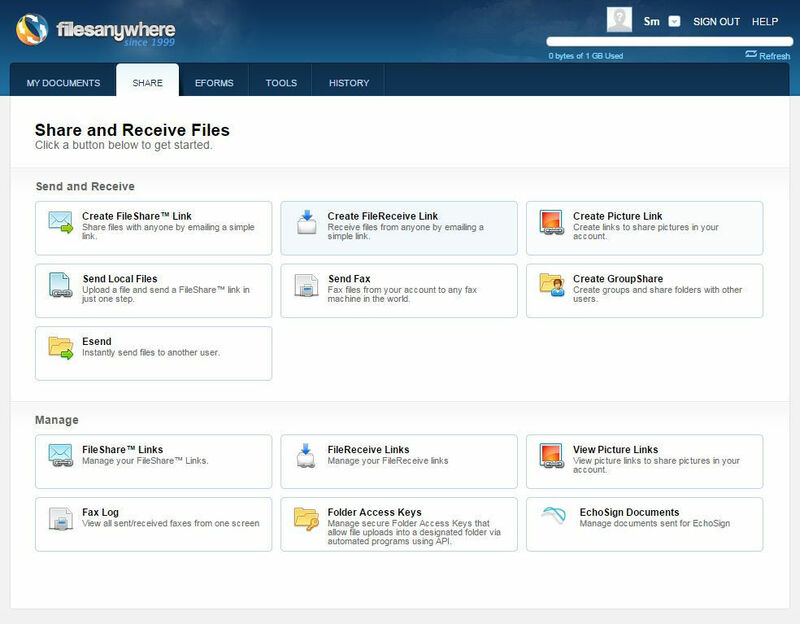 You can access your files and folders on all your devices, web and desktop using the native applications. Strato HiDrive Free serves you with best online storage service to make storing of files and data easier and quicker for you. The files and data can be accessed and viewed on different devices. Strato HiDrive Free gives you 5 GB of free cloud storage with unlimited traffic, sharing and exchanging files with links, backup your content securely in the cloud drive. Jottacloud synchronizes all your devices without any problem, making it easy for you to have access to all your files on all of those devices. These files can be even shared and worked upon using any device. Storing your files to the free cloud storage is safe and secure and you will not have to worry about hard disk crashes, phone break downs and other things. 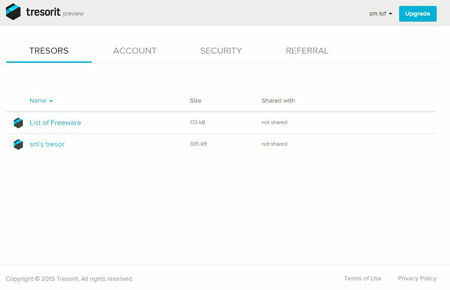 You can earn up to 100 GB free cloud storage by inviting your friends to Jottacloud to receive 5 GB extra storage from each friend. You cannot upload files or folders using the web interface, but only with desktop or Smartphone app. JustCloud lets your backup your computer or device to the free cloud storage drive of 1 GB, saving you from losing any important files or data from your local drive or computer or device. JustCloud has a provision of sharing files and folders personally with someone or alternatively as a public link to your Facebook, Google Plus, Twitter, Pinterest or Email. You can download the uploaded files and folders using the download option from the menu. SurDoc is a powerful free online storage provider that enables users with free cloud storage of 100 GB for storing their files and important data as a backup safe from getting deleted. There is no restriction on document file size but special file size is 10 MB. It gives you easy mobile and desktop access. SurDoc also gives secured and free file sharing option via email link. There are paid upgrades for higher cloud storage and for unrestricted account. You can download SurDoc on your mobile or desktop as an application.